We welcome you to the Pacific Victorian, your perfect getaway destination. Bring your appetite for a scruptious breakfast, a menu is provided each evening for guests to select their individual desires. Renew and relax in solitude and comfort. Everything is close by, food, shopping, and great walks on the beach are just a step away. The perfect Inn that feels far from city life, yet is only 25 minutes to San Francisco. The Pacific Victorian Bed & Breakfast is an ideal choice for your next California coast bed and breakfast vacation. This Victorian style inn is located at beautiful Miramar Beach in Half Moon Bay, California. The Inn is nestled in a scenic coastal setting 1.5 blocks from the beach with partial ocean views of the Pacific Ocean and picturesque coastal mountains. There are several activities near our Half Moon Bay, Ca, Bed and Breakfast including: golfing, bicycling, hiking, shopping, surfing, kayaking, wine tasting, art viewing, weddings, whale watching, walking on the beach, tide pooling, horseback riding, bird watching, boating, live music and relaxing. 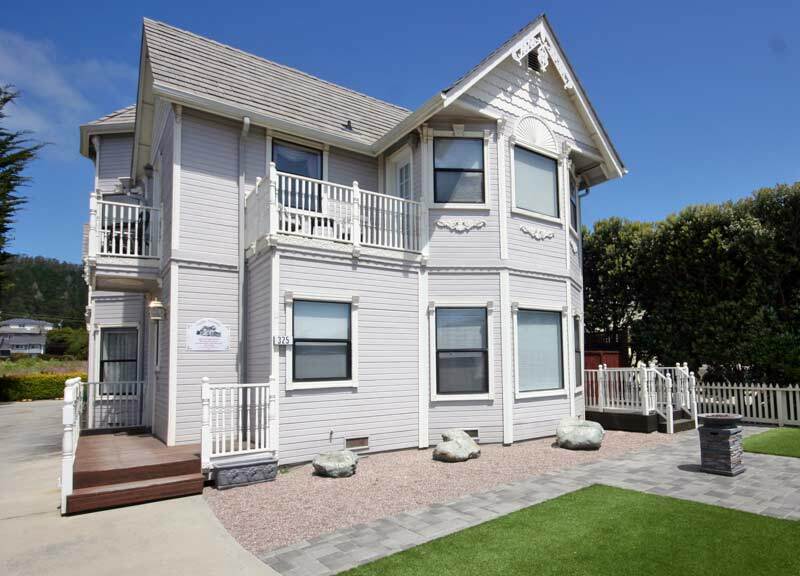 The Pacific Victorian Bed & Breakfast in Half Moon Bay, California is conveniently located near San Francisco International Airport (SFO), San Jose International Airport, Oakland International Airport and Half Moon Bay, CA, municipal airport. We are California lodging within driving distance of San Francisco, San Jose, Santa Cruz, Monterey and Napa. Our guestrooms offer a unique boutique hotel lodging experience with Victorian decor, private baths with whirlpool tubs, luxurious linens, in-room televisions, DVD players, telephones, access to DVD movie library, decks and wireless high speed internet access. Each morning is greeted with the scent from our full breakfast featuring Eggs Benedict, blueberry pancakes, buttermilk pancakes, Belgian waffles, cheddar cheese omelets, French toast, sausage, Canadian bacon, orange juice, coffee and tea. Your boutique hotel lodging experience will be truly enjoyable at the Pacific Victorian Bed and Breakfast, Miramar Beach in Half Moon Bay. Call for same day reservation inquiries. For gift certificate purchase, please call us at 650-712-3900 or 888-929-0906. Thank you.